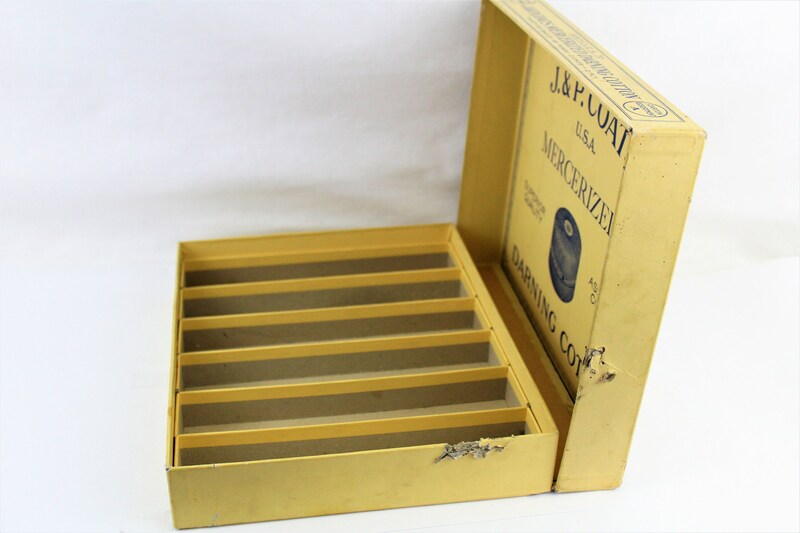 Wonderful J. 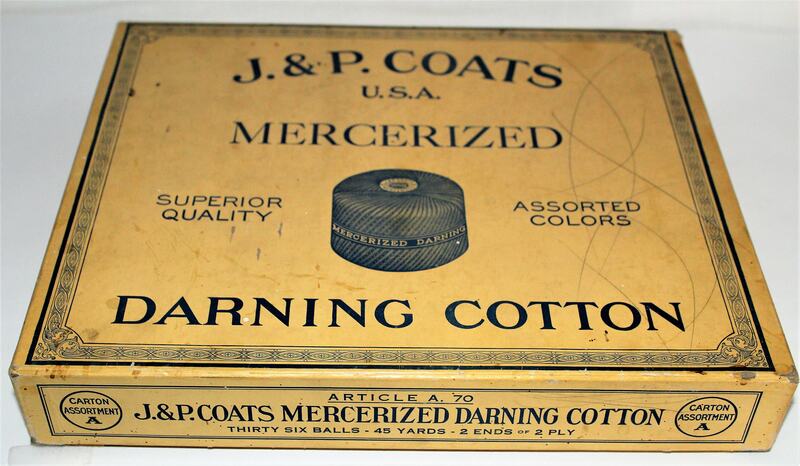 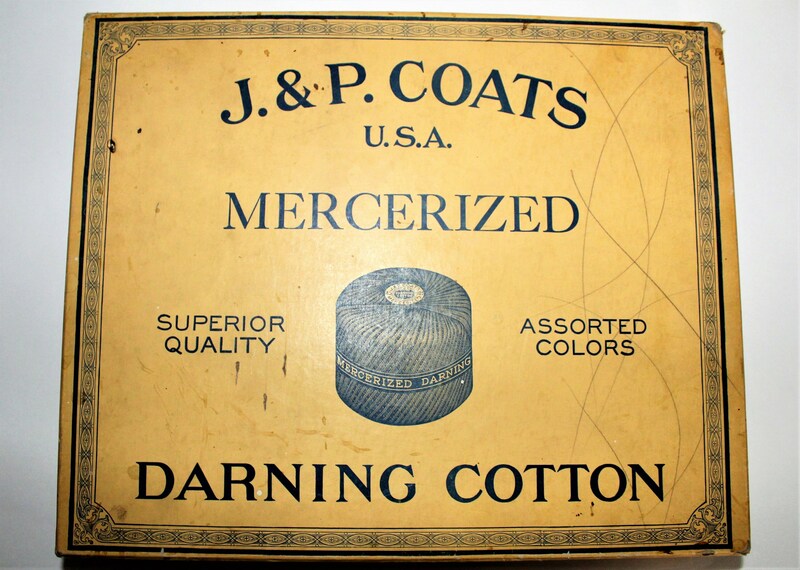 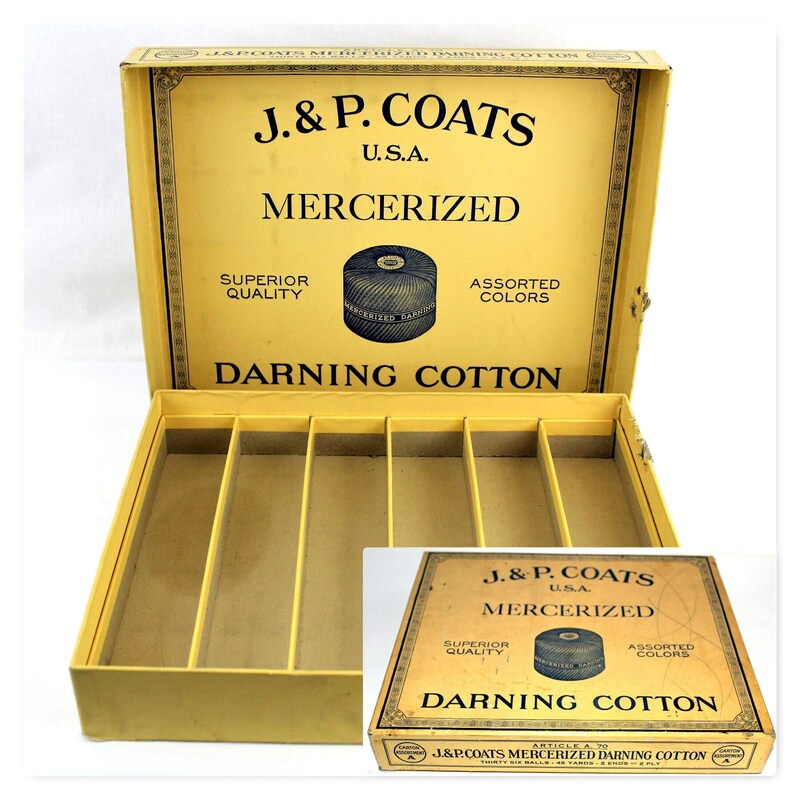 & P. Coats Mercerized Darning Cotton Box this would have been found in a retail store or General store as a countertop display offering the different colors. 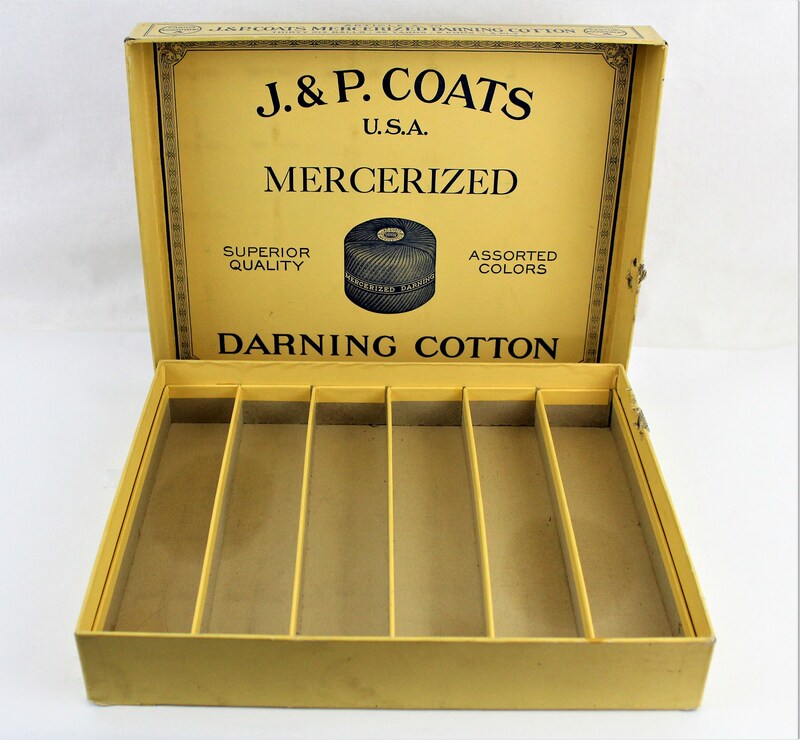 This will make a wonderful display item. 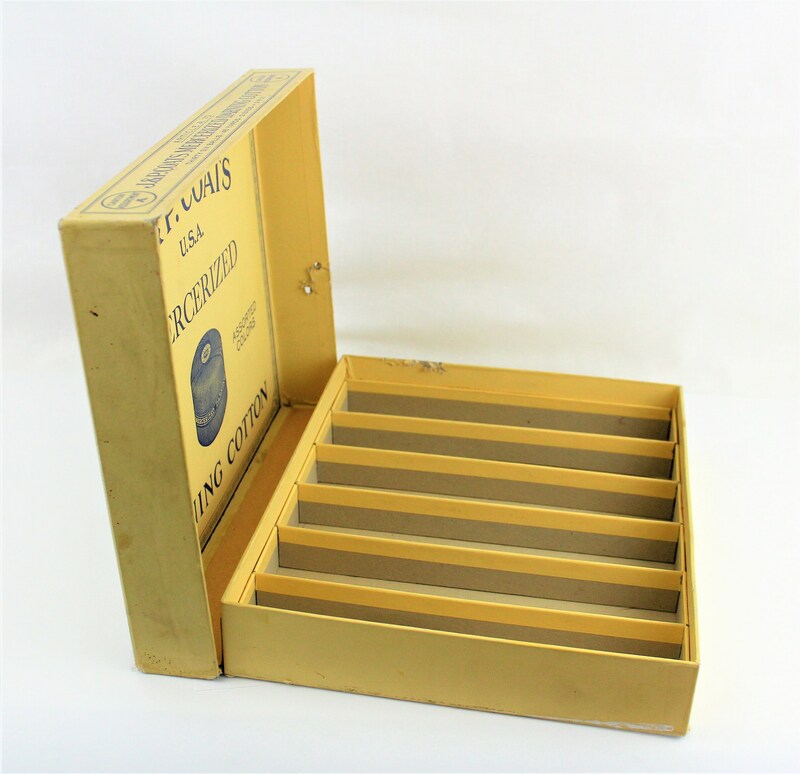 Made of cardboard with hinged lid has graphics on top, front edge and inside lid.